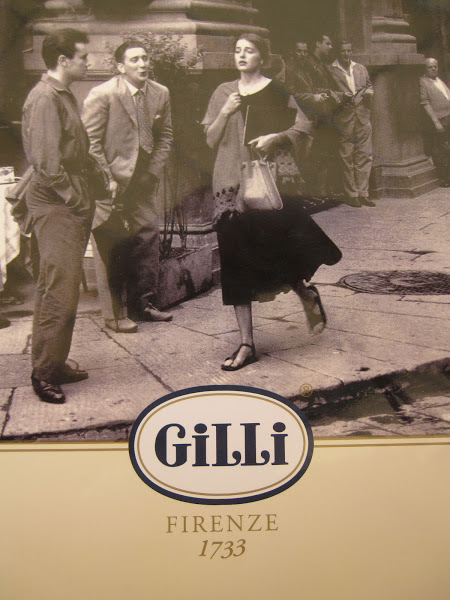 My favorite café in Florence is Gilli, situated in Piazza della Repubblica. 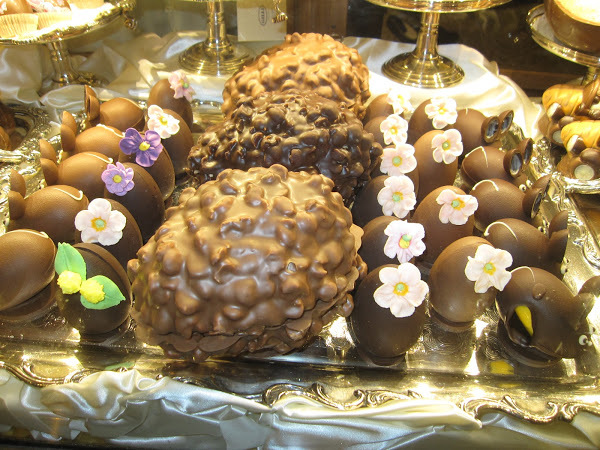 The café was founded in 1733 as a confectionary shop and still sells wonderful pastries. 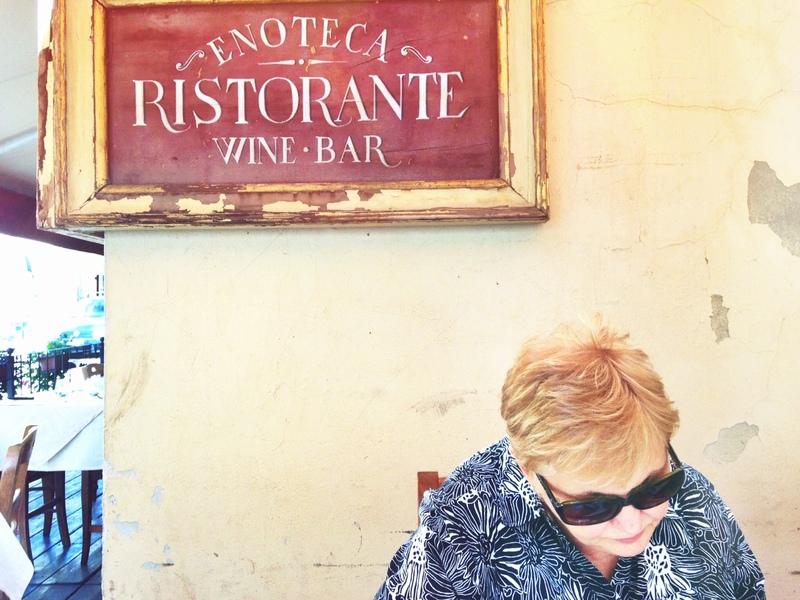 It’s a great and elegant place for a morning cappuccino and cornetto, a light lunch or people watching later in the day over an aperitivo. It is not cheap. But it is so wonderful to sit here and watch humanity stroll by. Especially on a sunny day. I love sitting here. 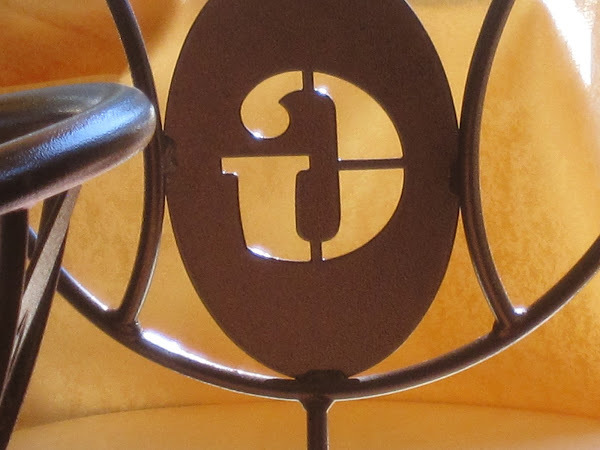 This is a picture of the back of one of the café’s outdoor chairs. This vintage picture is so evocative, even though this young woman looks distinctly uncomfortable. 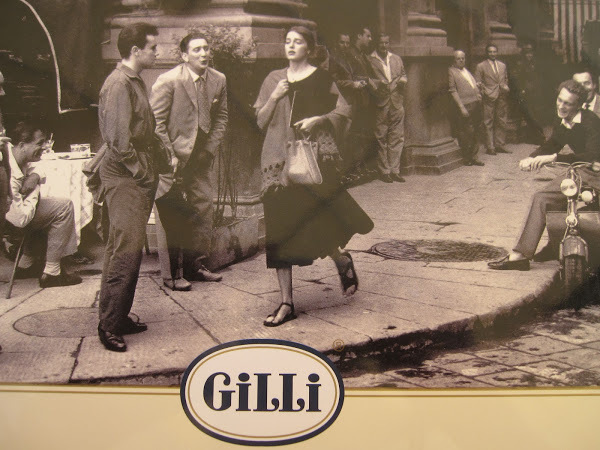 It’s the front picture of Gilli’s menu. Here’s the full menu cover. And a few lunch items inside. 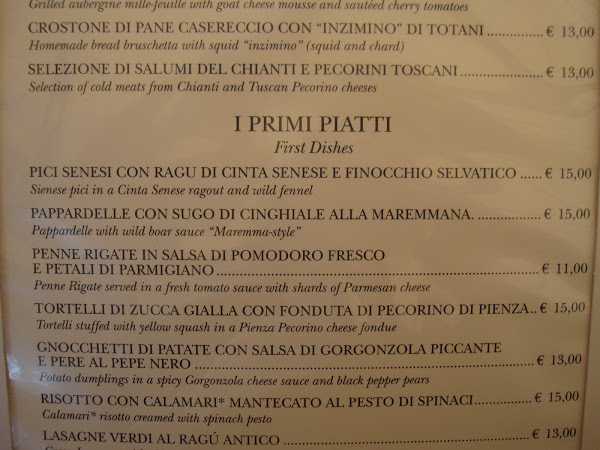 I ordered the pici sienese. 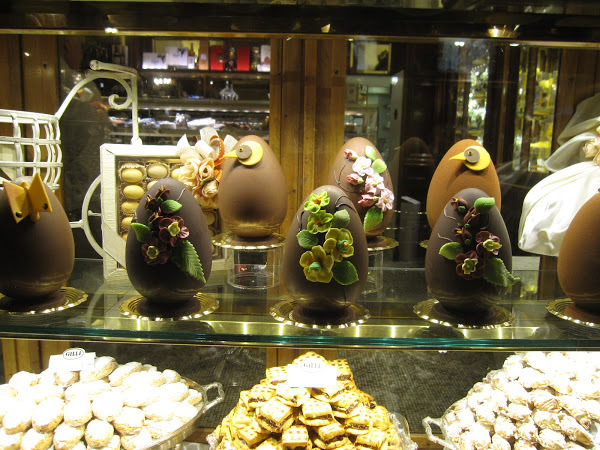 I know it’s a little after-the-fact but I have some pictures of the way the Florentines celebrate Easter. 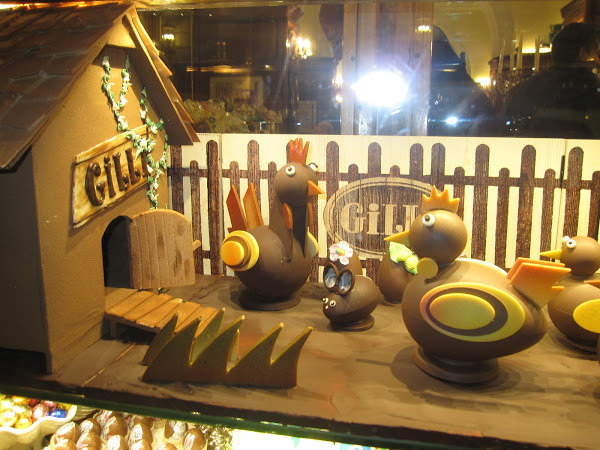 I took these photos at night through the window of Gilli’s. 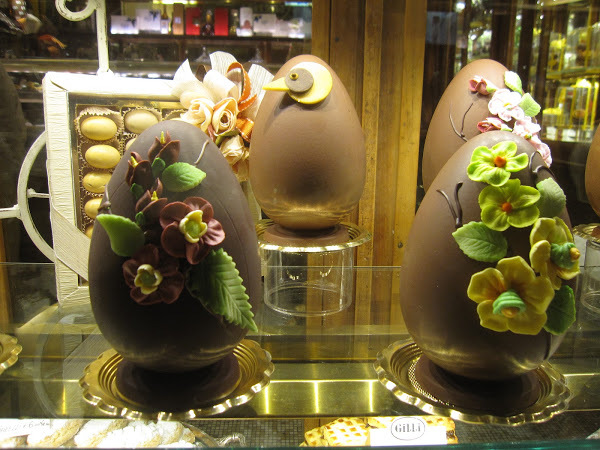 My husband and I were charmed by these chocolate eggs. And the baby chic with mom and dad tableau. Sorry about the photo flash but my photography skills are evolving. 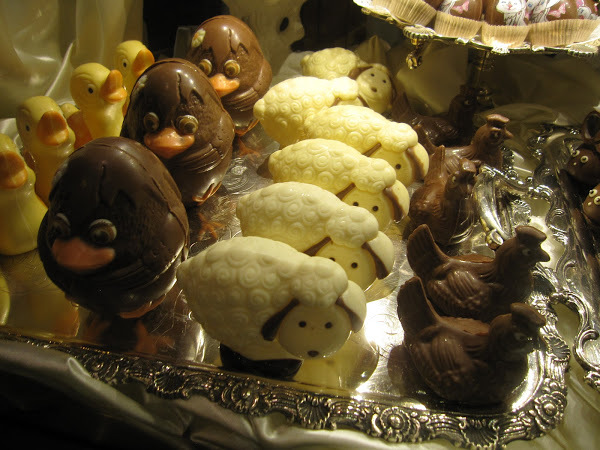 And these other delectable Easter treats. I’ll have to come back when the store is open!